I was stuck on how to write the climax of my story. Like ground hog day, I replayed the thrilling adventure scenes leading up to the high point. But I couldn’t decide on what to write for the actual battle scene. The confrontation between Song Bird Superhero and Destructo, my evil antagonist. So, I avoided writing the climax scene altogether! Instead I worked on other projects. The problem was … I didn’t know how to reveal Destructo, the evil environmental bully behind Song Bird 1 and Song Bird 2. I knew both my superhero character Song Bird AKA Rosella Ava Bird and her disabled genius sidekick, Amy, intimately. 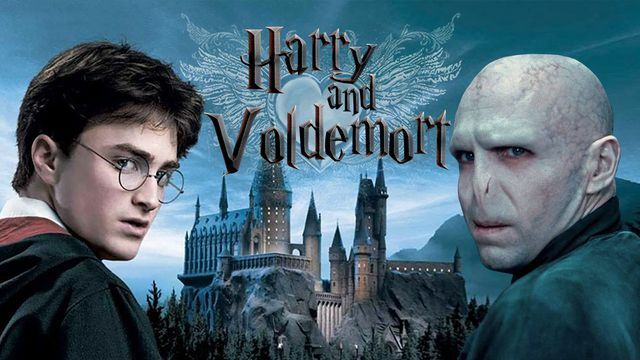 My mind focused on the Harry Potter series and how the evil Voldemort was finally revealed. Great for JK Rowling but what was I to do? My head ached with the pressure to finish Song Bird 3. I forced myself to take a nano nap to amp my creative juices. I woke up with an incredible idea. 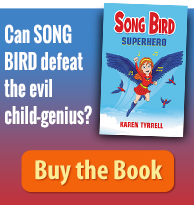 So, I Karen Tyrrell created scene summaries for every chapter of Song Bird 3. 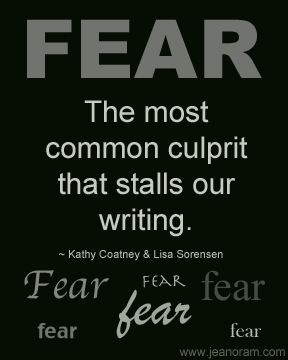 Just like I did at my Queensland Writers Centre course, Year of the Edit with Kim Wilkins. For two days, I spent writing three sentence summaries for each chapter. I placed these key plot points alongside my hero’s journey plan. Now, it was so clear what I had to write. FEAR had stalled my writing. Problems with Story Plot … SOLVED! I fleshed out the villain to write the climax scene in cinematic detail. Finally, I typed up the climax scene and now I’m busy creating the final chapters. I can’t wait to show you my antagonist, Destructo in all his EVIL glory. Mmmmmwwwwahahahahahaha! Boost your daily creativity quotient with daily journal writing to unblock any emotional baggage that’s zapping your self-confidence and problem-solving strategies. 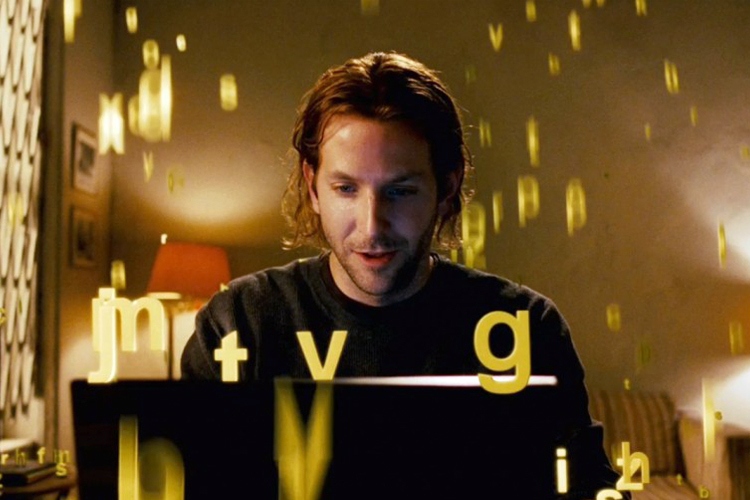 Visualize and rehearse the sequence of your story in your head, in pictures, or act it out to spark your imagination. Plan your story using a writing structure like: hero’s journey, snowflake method or the story grid. Summarize each chapter in three sentences, written in actions from the POV character. This gives you a bird’s eye view of the big picture of your story. Find ways to solve Plot Problems. Break your problem down into bite size pieces. Interview yourself. Write down pros and cons. Walk briskly mulling over writing problems that need solving. Meditate. Ask yourself: What if? Then follow the ideas to logical conclusions. Submit your chapter to a critique group like Write Links for critique. Or send to Beta Readers so they can give you feedback and suggestions. In return, you critique stories for these readers. It’s a wonderful two-way street. 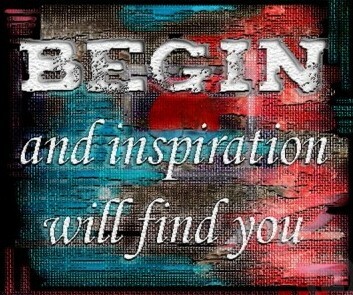 Begin today … and writing inspiration WILL find you! Where is the Song Bird Series available? 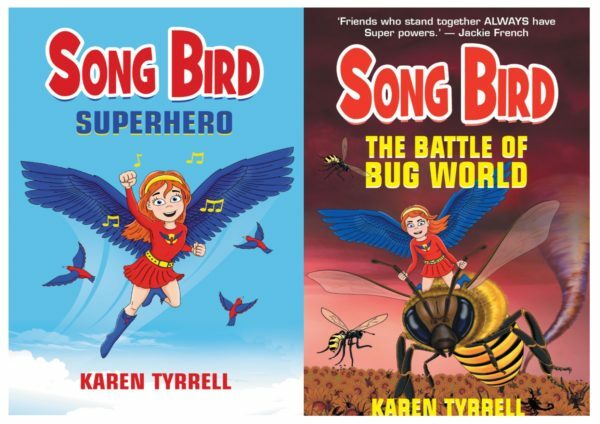 Song Bird Superhero and The Battle of Bug World won many *5 STAR reviews on Goodreads. 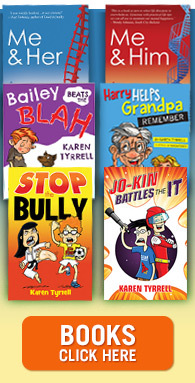 Its available from Amazon, Booktopia, good book shops and via Karen Tyrrell with a special offer, OR leave a message on my contact page. 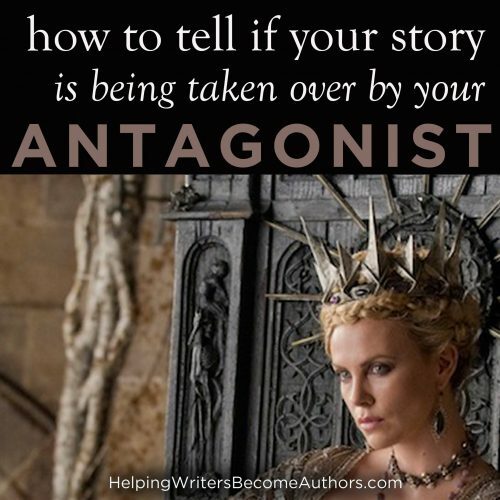 Do you have problems with your story plot? How will you fix your story? Please let me know. Comment here or LIKE. Share on Facebook, Twitter and Google plus. This was a tricky one, whether to reveal all of Destructo or continue the intrigue, the slow show so to speak. I think your readers will enjoy the way you did it, and the way you outlined how you did it would have universal application to a lot of evil character development, good work. I’m thrilled to finally write the climax of Song Bird 3, to reveal Destructo … But also to have plenty of room for story development in Song Bird 4. Congratulations, Karen. I’m so pleased you were able to work it out. 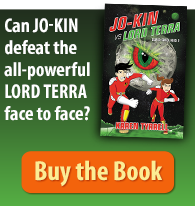 I knew you would – you have super-writing powers! Always Lovely to see you here. Thanks for checking out my writing tips and sharing your own experiences. Yes, summaries and notes keep us writers on track and help us solve plot problems as they arise. Thanks for checking out my writing Tips. Thrilled to know that your making progress with your picture book today.